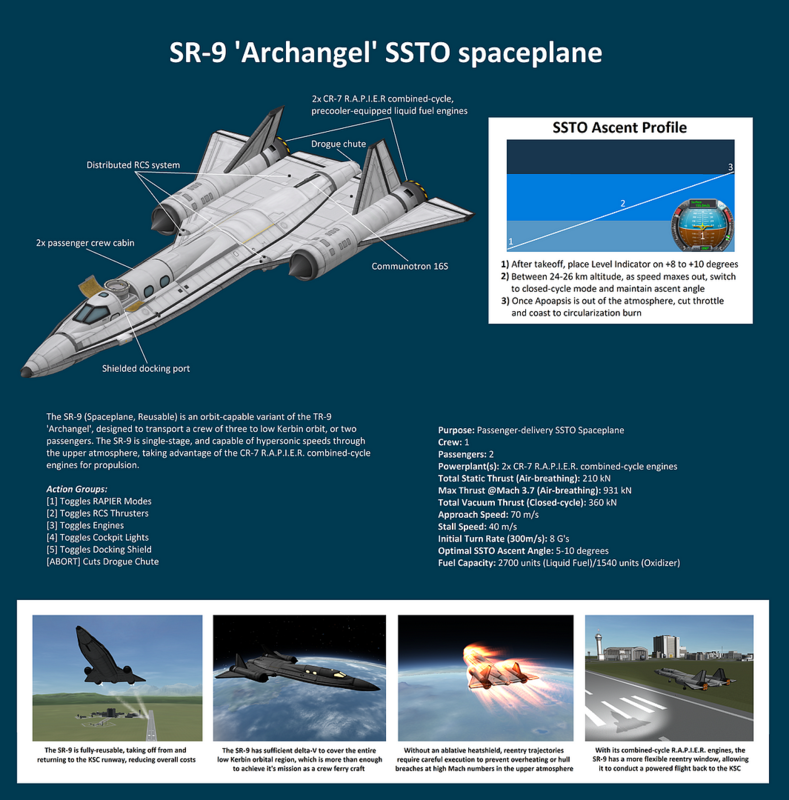 The SR-9 (Spaceplane, Reusable) is an orbit-capable variant of the TR-9 ‘Archangel’, designed to transport a crew of three to low Kerbin orbit, or two passengers. The SR-9 is single-stage, and capable of hypersonic speeds through the upper atmosphere, taking advantage of the CR-7 R.A.P.I.E.R. combined-cycle engines for propulsion.